There is an opportunity for every boy. 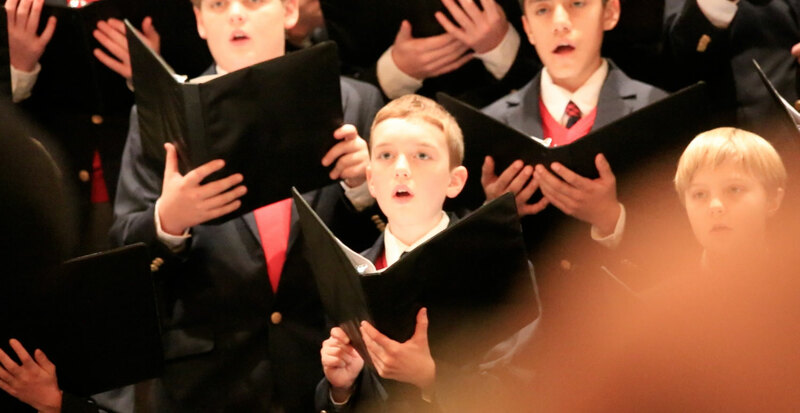 Cantare (ages 6 & 7) is often the start of the journey of the Choirboy. The Choirboy begins his musical training through musical activities, games and, of course, singing! In addition, he begins learning about respect, honor and how to be a gentleman. 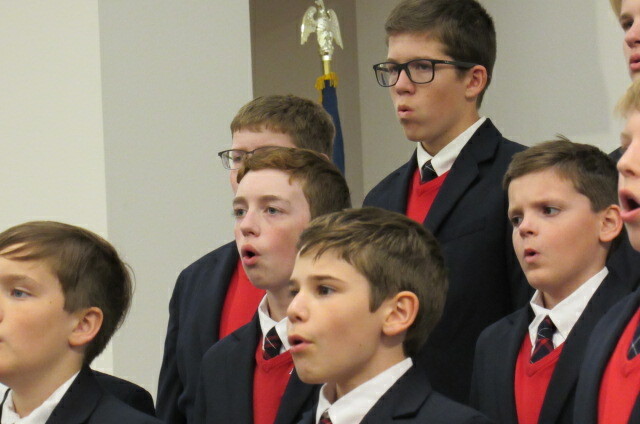 They rehearse Tuesdays from 6-6:45 p.m.
Cantanti (ages 8-14) is open to any boy with an unchanged voice. This is where our newest boys and our experienced boys join together to learn about posture, breathing and tone and the motto, “music, respect, honor”. 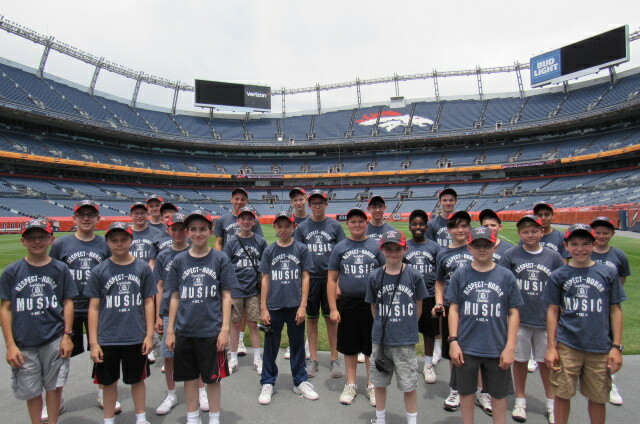 Each boy receives individual coaching in music literacy and in leadership, manners and behavior. 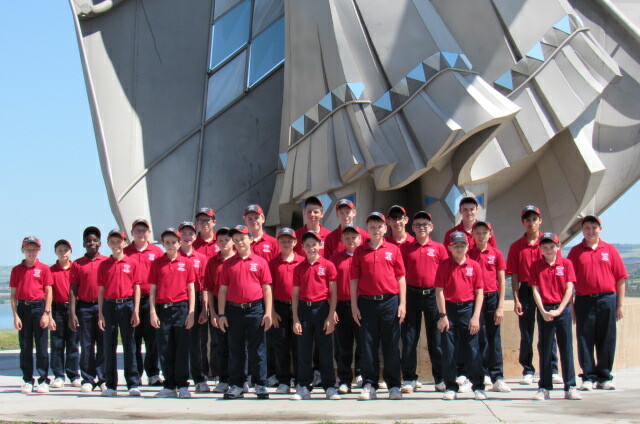 They rehearse Tuesdays from 6-8 p.m.
Cambiata is open to any boy grade 9-12 who wants to sing in an all-male choir. All voices in this choir are changing or changed. 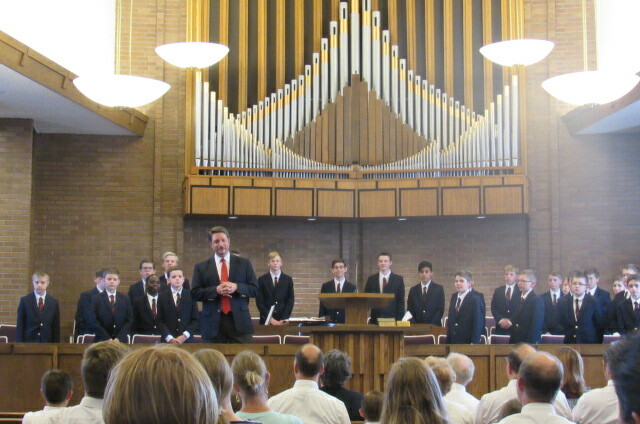 They perform a variety of music genres and offer concerts with the other choirs, as well as on their own. 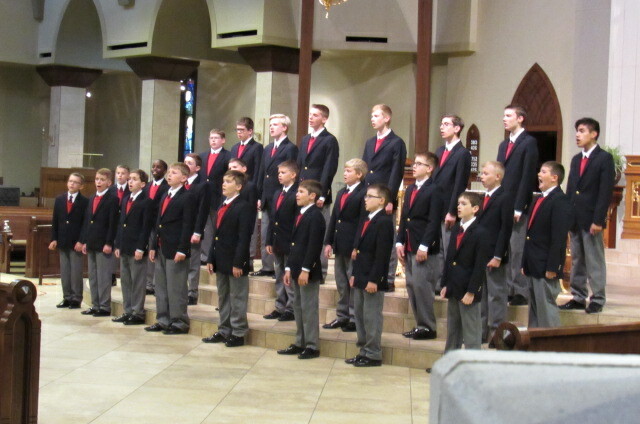 They rehearse on the 2nd and 3rd Mondays from 6:30-8:30 p.m.
Concertare is our primary performing and touring choir. Its members come from Cantanti and Cambiata to form a mixed voice (soprano, alto, tenor and bass) choir. Concertare is an auditioned choir and to be eligible, all members must be in Cantanti or Cambiata and must have been in the program for at least one year. This chamber choir performs music from Gregorian chant to the most recent composition. 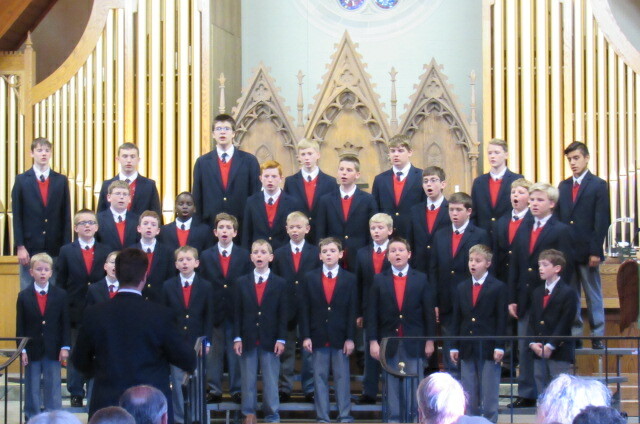 The Choirboys also receive individual coaching in leadership, respect and honor. Click the image to purchase your tickets! 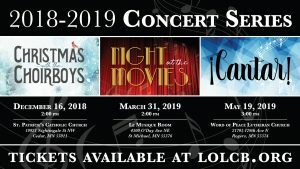 Concert Series: Night at the Movies March 31, 2019 @ 2:00 p.m.
Concert Series: Cantar! 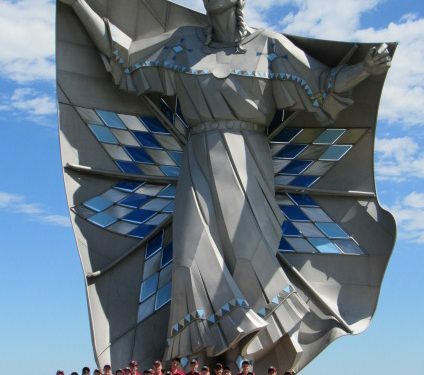 May 19, 2019 @ 2:00 p.m.
Where Tradition and Tomorrow Join in Song. 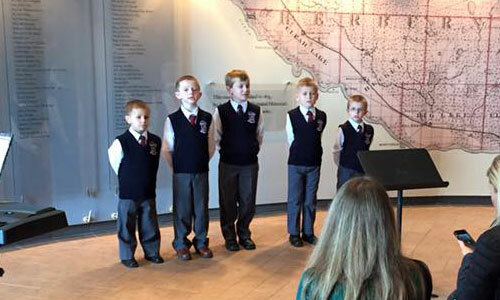 Auditioning for the Land of Lakes Choirboys is very simple. Step One: Complete the form in this section. Step Two: Aaron will contact you to set up a visit for your family. Step Three: You will meet Aaron for a short audition. There is no need to prepare anything. Step Four: Aaron will contact you to let you know if your son is invited to join the Land of Lakes Choirboys. Ordinary boys who love to sing, act, read, play games and/or play sports. Boys who want to be part of a team that works toward a common goal. Boys who want to learn about leadership, respect, honor and how to be a gentleman. Aaron holds a B.A. in Music from St. John’s University, Collegeville, where he studied choral conducting with Dr. Axel Theimer. Mr. Carpenter also serves as the Director of the Office of Worship for the Diocese of Saint Cloud. He has served as a guest clinician and conductor in Minnesota, Iowa, Illinois, Ohio, Washington and Texas. 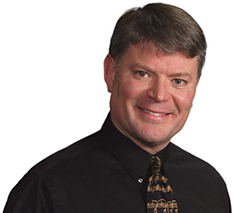 Mr. Carpenter is an active member of ACDA, NAfME, NPM and MMEA. He and his wife, Maria, have three children, Noah, Isabella and Emma. Corinne received her B.M. in K-12 Vocal Music Education from the University of Minnesota-Duluth and is currently employed at St. Andrew’s Catholic School in Elk River where she teaches K-5 general music and directs the Children’s Choir as well as with the Ogilvie Schools. Ms. Anderson has had two sons work through the ranks of the LOLCB giving her a great understanding of our organization and the value of our motto “Music, Respect, and Honor”. Corinne is a member of ACDA and MMEA. Joseph has been with the Land of Lakes Choirboys as accompanist since the 2013-14 choir season. Currently, his youngest son Gus sings in the Concert Choir. 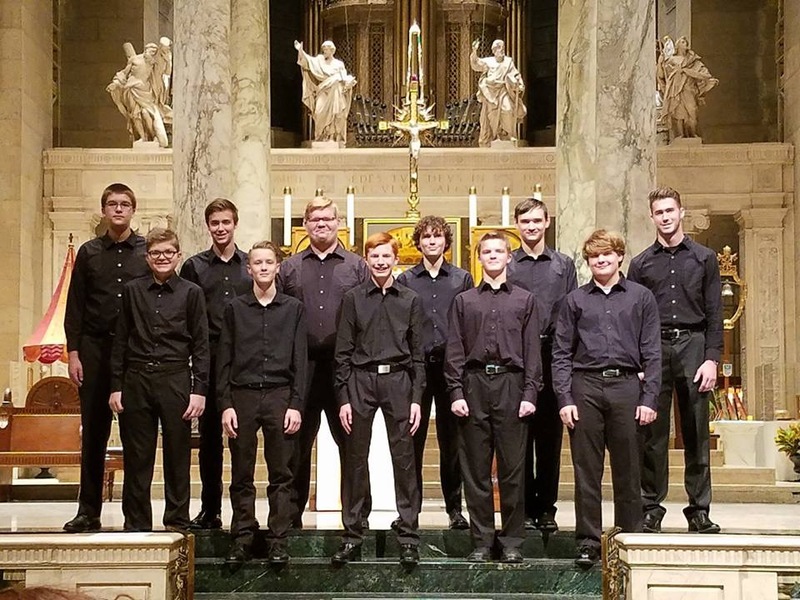 Joseph teaches elementary orchestra at five schools in the Osseo Area School District, and he is the Director of Music at St. Michael Catholic Church in St. Michael, MN. He has won national and state awards in organ from the Music Teachers National Association and from the American Guild of Organists. He holds a B. Mus. in Organ Performance from the University of Oklahoma, an M.A. in Liturgical Music from St. John’s University, and an M.A. in Music Education from the University of St. Thomas. Joseph resides in St. Michael with his wife, Jennifer, their four sons: Trey (Joseph III), Davis, Leo, and Gus, and their dog Lily. 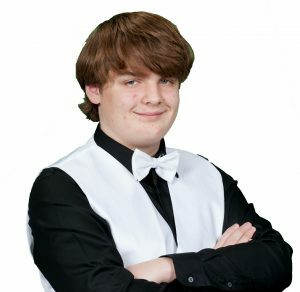 Tristan is a graduate of the treble voice program and is currently a member of Cambiata, our high school men’s choir. In 2018, Tristan toured with us to Californian, serving as a prefect. Tristan is a junior at Spectrum High School. We are happy to add him to our team. 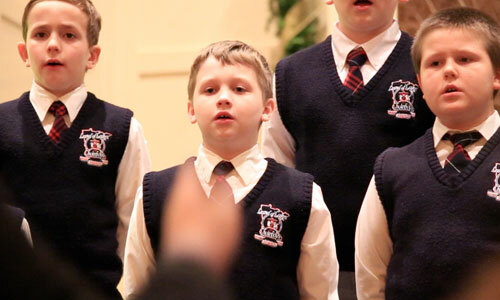 In 2008, Camden started in the Training Choir at the age of 8. After a year, he moved up to the Nordic Choir and began touring. He made two US tours with the Nordic Choir, one European tour with the Viking Choir, and two US tours with the Concert Choir. He received his six-year award in 2013, graduated, and then participated in the Men’s Chorus for two years. Outside the LOLCB, Camden has enjoyed learning to run a sound board, both analog and digital, along with all the other cool production technologies. Aside from running the sound board at church, Camden works at Caribou Coffee and MotoAlliance in an effort to graduate from medical school debt free. 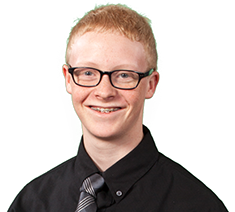 In his free time, he enjoys hanging out with friends, working on cars, designing CAD projects, and building things. Dawn comes to the LOLCB with years of experience working in finance, especially for non-profit organizations. Her son Braeden is a member of Cambiata. 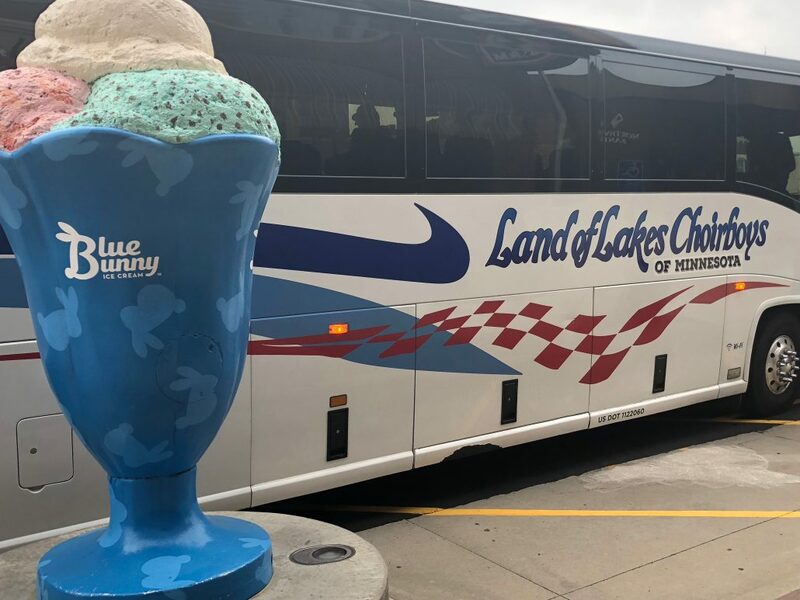 Support Land of Lakes Choirboys! Your donation helps to build strong young men. 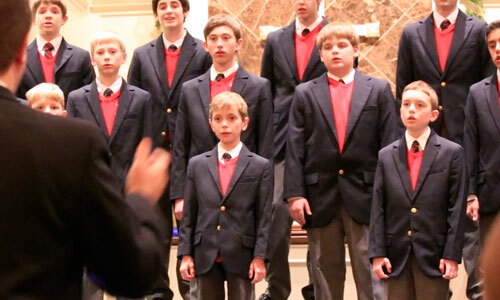 To enrich the lives of boys by teaching excellence in choral music and self-discipline. 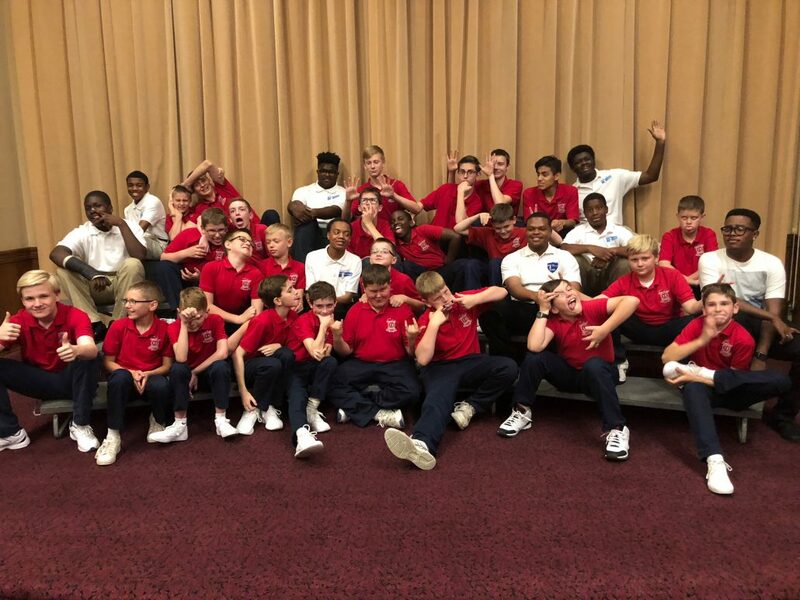 To make the Land of Lakes Choirboys a high-quality music education program that empowers boys to develop musical ability, individual character and leadership skills. To perfect. To enjoy. To share with others. Our manners. Our conduct. Our behavior. Our music program. Our respect for ourselves and others. Our code to live by.